The US National Science Foundation (NSF) has announced a five-year strategic plan to address threats to America's science and engineering (S&E) leadership. The strategy will guide the agency's priorities and investments through fiscal year 2016. However, the dismal budget environment could stymie its plans. President Obama promised to double the agency's budget by 2017, but the NSF's plan cautions that there is less money for higher education and that corporations are deferring or suspending research that complements federal funding. The NSF points to the rapid evolution of scientific capabilities worldwide as a 'significant' trend, noting that S&E activities are more widespread as governments recognise that R&D investment spurs economic growth, employment and citizen well-being. 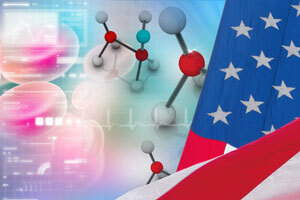 The agency plans to ensure that the US remains pre-eminent in S&E research and education. In particular, the NSF wants to make sure that US researchers and students can get access to international scientific expertise, facilities and data. A major concern of the agency is the demographic shift taking place in the US's S&E workforce. In particular, the imminent retirement of the so-called 'baby boomers'. To address this problem, the NSF will intensify efforts to get more minorities and women working in science, technology, engineering and mathematics (STEM). The US is 'lagging far behind' when it comes to recruiting underrepresented groups into STEM occupations and retaining them, NSF official Deborah Wing tells Chemistry World. She cites NSF statistics that show the percentage of underrepresented minorities obtaining S&E degrees is declining at historically black colleges and universities (HBCUs) and at high-Hispanic-enrolment institutions. 'This is bad news, given that HBCUs have been the nation's powerhouses for generating degrees in science and engineering for underrepresented minorities,' Wing says. At the same time, it is proving difficult to retain women in STEM subjects. Last year, 20 per cent more women graduated than men. In addition, the growth in S&E PhDs awarded in the last decade has primarily been due to the increasing participation of women. Nevertheless, in 2006 - the most recent year for which there is data on women in the workforce - women comprised only 26 per cent of S&E workers. 'We have bright, highly motivated female valedictorians wanting to do science, high numbers of women in college and women getting PhDs in science and engineering in increasing numbers, but then it drops off,' Wing says. In terms of performance goals, the NSF says it is committed to investing in new fields of science and engineering. Specifically, it promises to invest in innovative and potentially transformative research, while also sharpening its merit review process to better identify such research. In its strategic plan, the agency also commits itself to innovation and experimentation in the assessment process. For example, through the STAR METRICS project - a partnership between federal agencies and research institutions to document the results of science investments - the NSF is seeking to improve its monitoring of S&E research and education programmes.